Around 4 million babies are born each year in the United States. That means a lot of us need to decide what nursery paint colors to use. Although the American birth rate has declined by 1% since last year, plenty of people are still having babies. Parents like you struggle to know which color to paint their nursery. The color blue is commonly associated with boys, but blue is actually gender neutral. Blue promotes calming and productivity. The color blue also promotes a cooling sensation, which is great if you live in a hot area. However, this wall paint color can also reduce appetite. Be careful with the shade of blue you choose for your nursery. Grayish blues can promote sadness. Warm and bright shades of blue inspire feelings of healing and rejuvenation. Using the color green transforms any room into a learning environment. Green promotes calmness, thinking, and concentration. Green is also the color of the natural world. 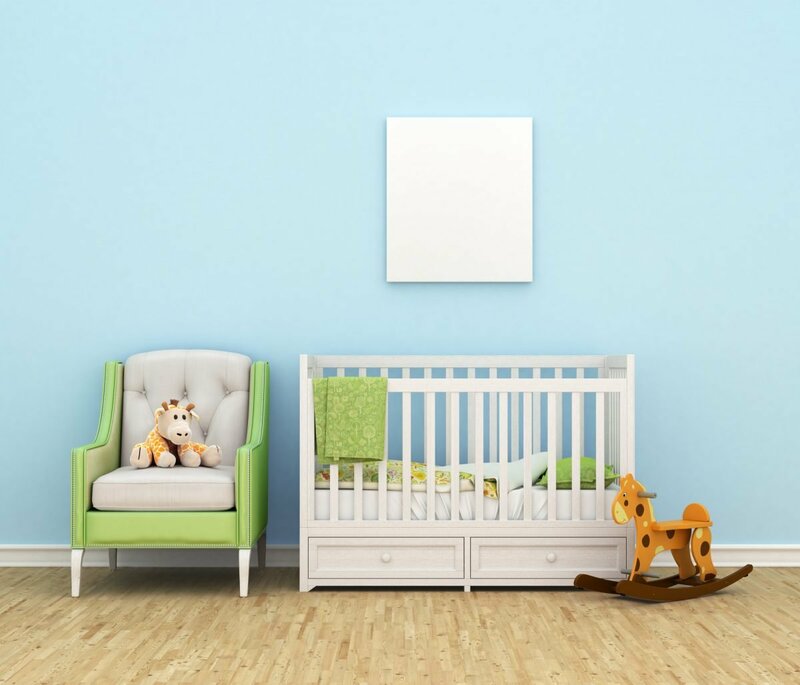 Painting the nursery green will give your baby a taste of the outdoors. A light green shade is perfect for babies, making it a popular unisex color option. It’s also good for people who prefer a more neutral palette. There has always been an association between purple and royalty. Make your little one feel like a prince or princess by painting the nursery light purple. Light shades of purple are perfect unisex colors for baby room color ideas. Shades like lavender can help your baby sleep easier. Purple is a stimulating color that’s not commonly found in nature. This color represents spirituality, imagination, and inspiration. Purple can help you if you want to encourage your child to be creative. From a psychological perspective, purple promotes harmony between the mind and heart, the balancing of emotions and thought. This can be useful to both you and your child. Here’s another popular gender neutral color for nursery paint ideas. Yellow is a stimulating color that’s associated with happiness, positivity, and creativity. This color also makes you feel more alert and awake while increasing your memory. If your nursery doesn’t get a lot of sunlight, painting it yellow is a great way to compensate for the lack of light. Be careful when choosing a shade of yellow. Bright yellows can disrupt your baby’s sleeping patterns. Subtle yellows promote emotional intelligence and concentration. Although pink is commonly associated with little girls, that stereotype is changing. Boys can enjoy the color pink too. Pink is one of the perfect baby room colors because it promotes calming and empathy. This is useful if your baby is prone to throwing tantrums. Warning: Pink can cause anxiety or agitation in high amounts. Be sure to balance this color with colorful accents. Around 42% of men and 29% of women favor the color blue. Purple came in as a close second (27%) for women. That’s great, but what about you? What’s your ideal nursery paint? Explore all the colors that the world of paint has to offer you. You won’t regret it.